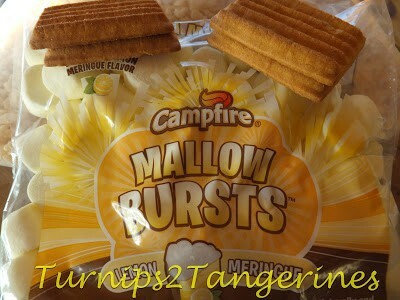 Lemon Meringue Krispie Treats are made with Campfire Brand Lemon Meringue Mallow Bursts. The name literally says it all. These yummy marshmallows are bursting with lemon flavor. If you are a fan of lemon, you will love these. Sweet, Sticky, Lemony and Crunchy. What more can you ask for? How does a meringue topping sound? 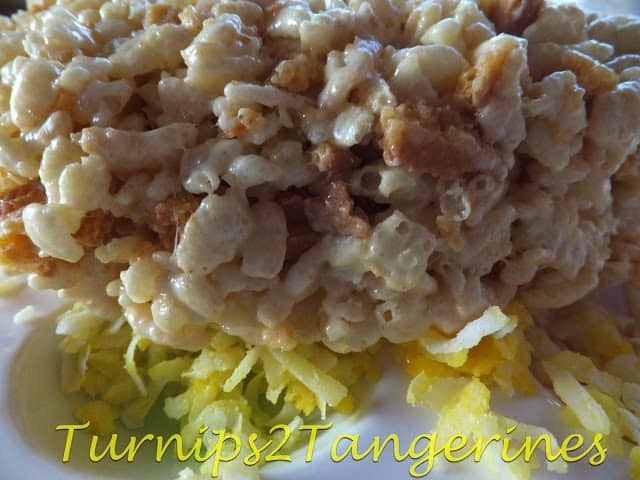 Lemon meringue krispie treats can’t be called ‘lemon meringue’ without a meringue, right? No more than you can call a rice krispie treat a ‘rice krispie treat’ unless its’s make with rice krispie or rice cereal and marshmallows. Right? Grab a box of cereal and a bag of marshmallows and let’s get cooking. After all, in under 30 minutes you could be biting into one of these sweet, marshmallow rice krispie treats. A classic recipe that everyone loves. Since we posted this recipe in March of 2013, we have added another layer to these already delicious marshmallow krispie treats. Lemon Meringue Pie just isn’t Lemon Meringue Pie without the meringue part, right? It would just be a lemon pie. Well we decided the Lemon Meringue Krispie Treats can’t or shouldn’t be called “meringue” if there isn’t a meringue somewhere in the recipe. Soo we topped the krispie treats with a meringue!! Genius!! Melt butter in a large saucepan over low heat. Add marshmallows and stir constantly until completely melted. Remove from heat. Add rice krispie cereal and crushed cookies, stir until well coated. Using a buttered spatula or waxed paper, press mixture evenly into a buttered 13 x 9 pan. In a large mixing bowl, beat egg whites with an electric mixer on medium-low until foamy, 1 to 2 minutes. Add pinch of salt, cream of tartar, and vanilla extract on high for 2 to 3 minutes. With mixer on high gradually add sugar, one teaspoon at a time. Continue to beat on high until egg whites form stiff peaks. Carefully spread egg whites to edges of baking dish over marshmallow treats. Place baking dish 3 inches below broiler element until egg whites are golden brown, watching carefully. Products used in this recipe; Lil’ Maid Lemon Bar Cookies, Campfire Marshmallows. For another Lemon/Lime recipe, try this fast and easy recipe using convenient products. Lemon Lime in the Coconut Cupcakes. Thank you so much for sharing at A Bouquet of Talent this week! Have a wonderful weekend and a Blessed Easter! I am excited to be co-hosting the marvelous monday link up this week. I totally love this idea. pinning it. They look delicious! Need to keep my eyes open for those marshmallows! Thanks for sharing with Foodie Friends Friday! I've never seen lemon meringue flavored marshmallows before but I'll try to find them. The recipe looks delicious,and I'm sure it tastes as good as it looks! These look absolutely delicious! New to your blog, really love your layout! It looks and reads fantastic! 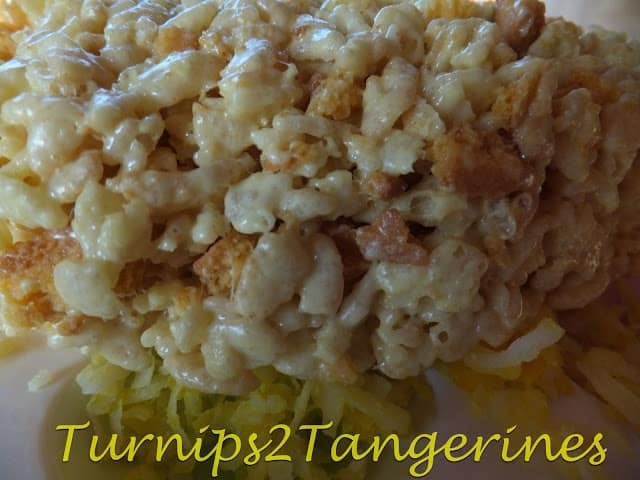 Thanks for sharing this fantastic recipe! Visiting from the I Love My Post weekend hop. Now following your lovely blog via GFC! Now that looks unusual and delicious! Aaahhhh…..it's driving me crazy! Yum! I'm glad that I found your blog. Yummy yummerz + Adorable layout = Awesome Blog! I'm your newest follower from Blog Hop. Followed you via FB, GFC, Linky Followers & Bloglovin. These are like all of my favorite things in one! I love anything lemon. About to hit follow now so I don't miss anything else cool like this in the future! Love everything Lemon, but afraid would not find these in Canada ! I'm glad that I found your blog trought The Pink Momma Fun Friday. Your recipes look fantastic, I will try some of them. New follower here with GFC. I'll give you the link to my blog, I hope that you will visite me, if you love my blog I invite you to follow me! Oh yum! These sound divine 🙂 I found you through the Bloglovin Blog Hop – your blog name intrigued me 🙂 I am now following your delightful blog through GFC and Bloglovin. I look forward to visiting again. 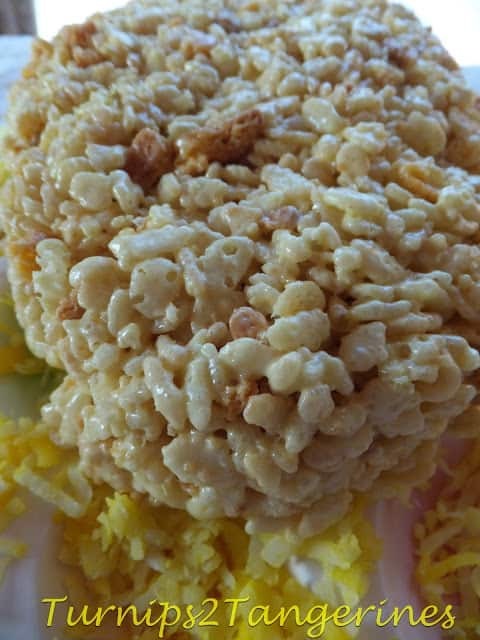 My taste buds are going crazy looking at the Lemon Meringue Krispie Treat pictures. I wonder if I will be able to find lemon meringue marshmallows in my area.